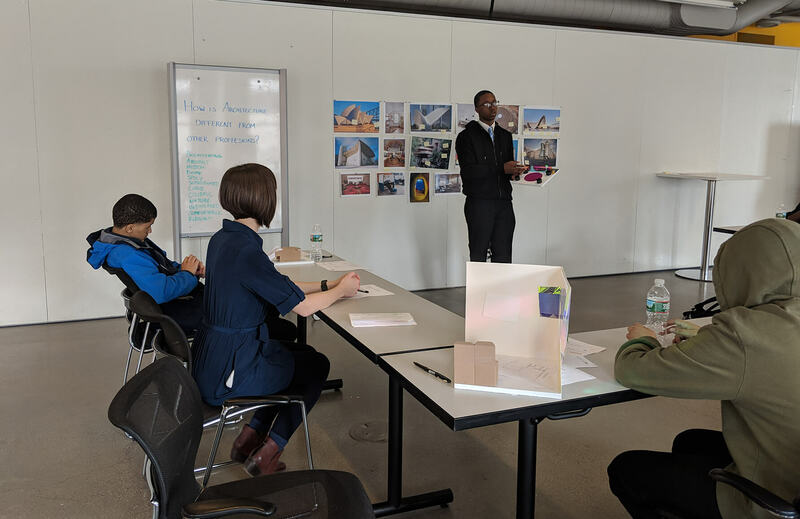 Earlier this month, Payette participated in the Architecture and Design Thinking Day, a joint initiative with the BSA Foundation and the Boston Private Industry Council (PIC), welcoming a group of high school students into the office for a first-hand look into the architecture profession. We began the day by showing a range of architectural images from historical precedents like the Pantheon to modern buildings from Zaha Hadid and Frank Gehry, and asked the students to use one word to describe the images. This prompted responses ranging from biome and elegant to curves and spicy, and initiated a dialogue on the impact of the built environment and who we design for. 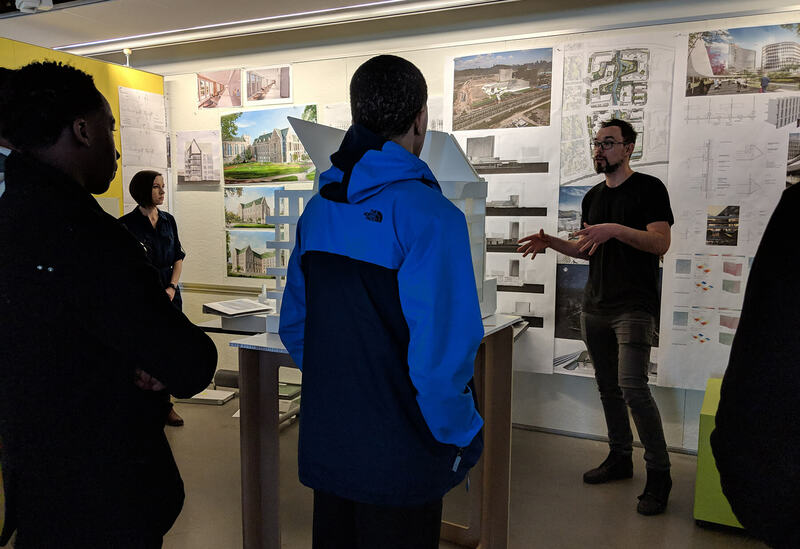 During an office tour, the students were introduced to several colleagues who described our collaborative design process which is important to the success of our projects. The students were very engaged and curious about how we design and communicate our design intent to our clients. They were enthusiastic about how we integrate technology into our process, especially through scripting and VR. 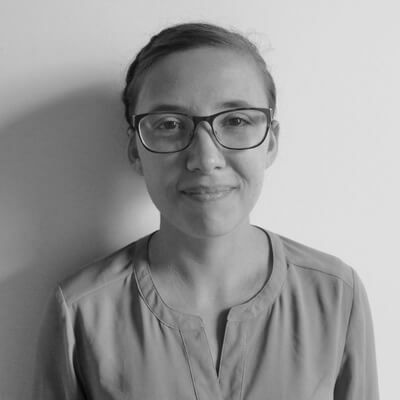 They asked if we had considered augmented reality and explained the opportunities it could open up to us as designers. It was inspiring to observe them discussing not simply what architecture is, but what it could be and what role they could have in it. After the tour, the students were tasked to design their own ideal study space. They started this process by identifying what was important to them when studying. This opened up the discussion to what characteristics within a space could help them achieve the requirements they had made for their space. Once they had defined what their space requirements were, they drew and modeled their ideas. Some students were very analytical, drawing scaled floor plans with proper door swings and wall thicknesses, while others worked more diagrammatically and studied how to define different areas and ideas. At the conclusion of the design activity, the students presented their spaces and explained their concepts to the group. The students were very supportive of one another and provided feedback and insight into each other’s designs. The exercise illustrated how you can have similar ideas about light and views but approach those concepts through different design lenses. Before the conclusion of the day, each student participated in a mock interview to talk about their strengths and skills and gain interviewing experience. This was our second year hosting a Design Thinking Day for students through partnership with the BSA Foundation. Once again it was a successful and rewarding event due to all our colleagues’ participation. It provided an important outreach to the community and, hopefully, inspired members of the next generation of architects and designers.